It’s the hour before sunrise in the Pilliga forest, it’s cool and the stars cover the forest like a blanket, it’s quiet mostly, the occasional truck belts down the Newell not seeing the scars left by gas company Eastern Star Gas and their cowboy fracker contractors who held no regard for the sacred Biliga. The Pilliga forest is the largest inland forest in New South Wales, an iconic Australian landscape offering rugged beauty on a grand scale, 3,000 km² of semi-arid woodland sits atop the recharge zone of the Great Artesian Basin, it’s not only a giant filtration system for underground water, it is home to a huge array of fauna and flora. The area is a living, breathing zoological wonder. It’s no place for a gasfield. The online Schlumberger dictionary describes fracking as “A stimulation treatment routinely performed on oil and gas wells in low-permeability reservoirs. Specially engineered fluids are pumped at high pressure and rate into the reservoir interval to be treated, causing a vertical fracture to open. The wings of the fracture extend away from the wellbore in opposing directions according to the natural stresses within the formation. Proppant, such as grains of sand of a particular size, are mixed with the treatment fluid to keep the fracture open when the treatment is complete.” The CSIRO describe the process in greater detail here. Take note of the word vertical. 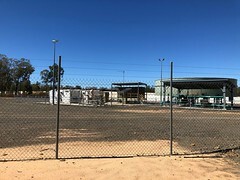 The early wells drilled in the Pilliga were located between Narrabri and Coonabarabran, New South Wales, were drilled vertically and fracking was conducted horizontally. Did this cause damage to the cleat formations in the seams? 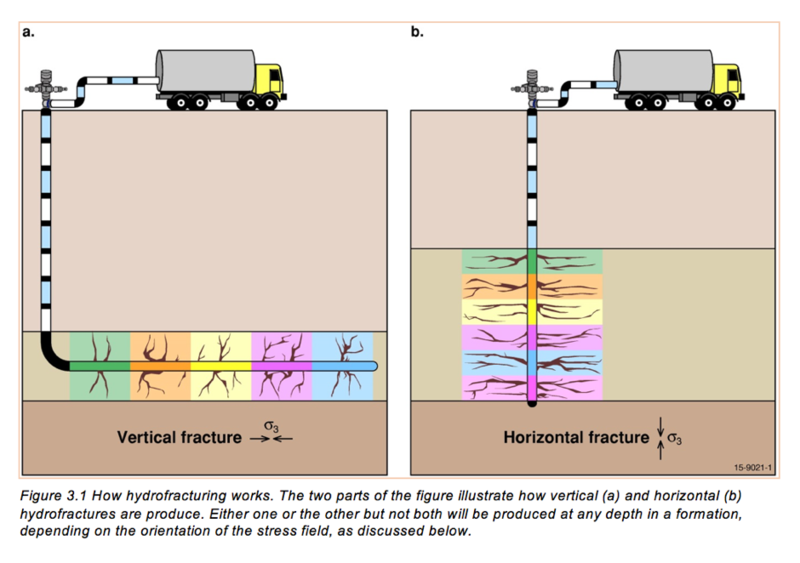 See diagram below for a visual horizontal & vertical fracking. Most people don’t know that fracking happened in the Pilliga or how often or what type of fracking happened, where it happened and if it was successful or not. 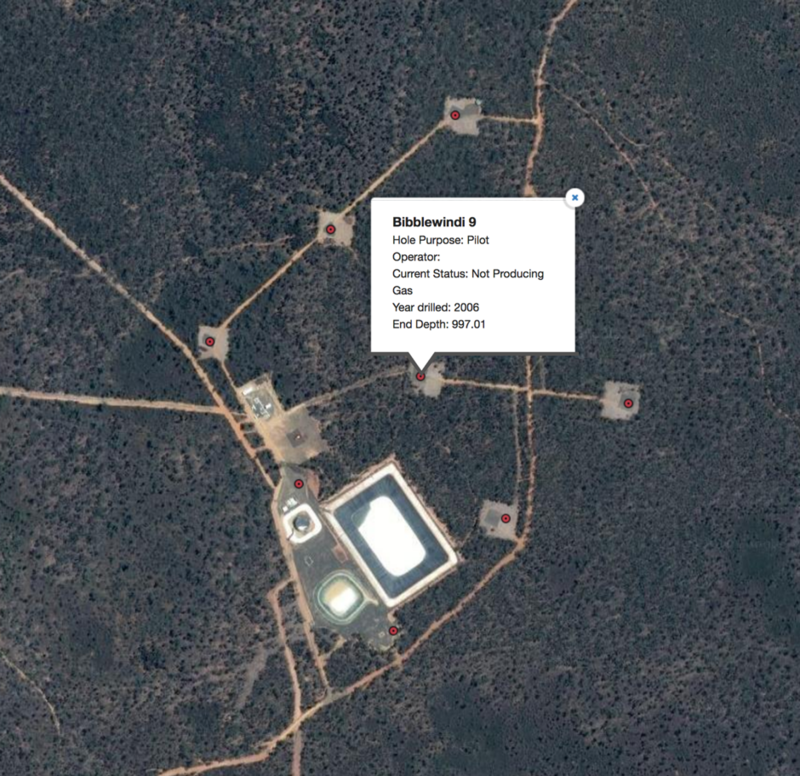 At the same time Forcenergy were fracking the Pilliga with contractor Halliburton they were near bankrupt in the US. With the bare minimum study done on environmental conditions the Bohena No.2 well (total depth 908 m) was completed in June 1998, and Bohena 2D, on the same one hectare site, was spudded (reaching total depth) in September 1998. 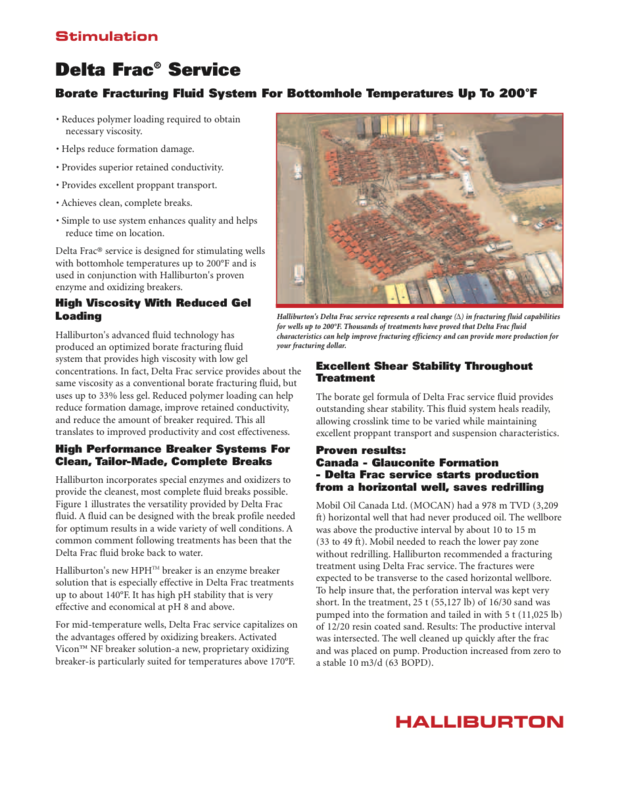 The well was completed by Halliburton with 63 cavitation surges of 1000-1700psi. 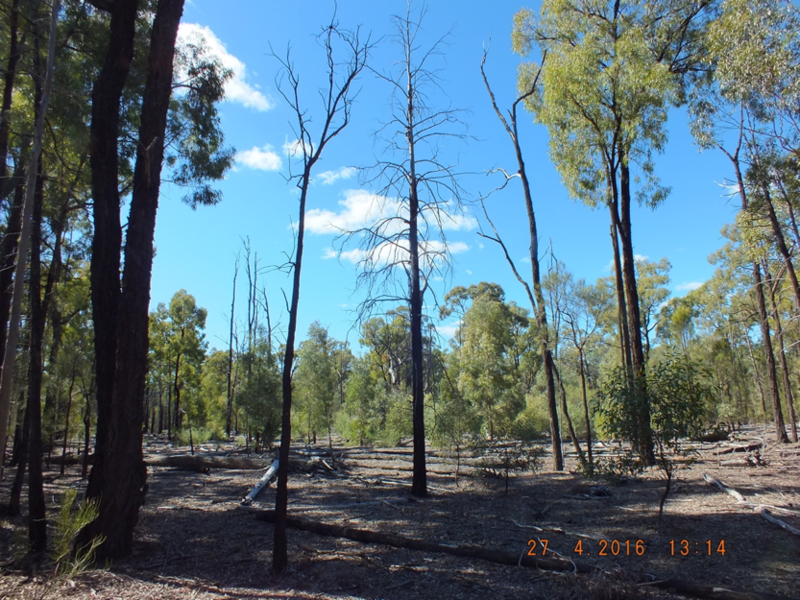 You can read here about the early accounts of the damage done to the Pilliga Forest by Eastern Star Gas and the companies who went before them. 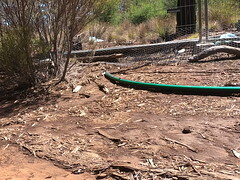 The impacts included the bulldozing of critical habitat of rare fauna, the collapse of a dam wall after a thunderstorm and most critically, the locally catastrophic underground seepage of caustic groundwater into the surrounding forest. Bohena 4 was stimulated using the same cavitation method, after a decent kick at around 550m and the well flowing (creating the dead zone you see there today) the well was surged 88 times including 17 air/foam surges at pressures up to 2150psi – that’s 146 atmospheres. Bohena 7 was fractured using a cross-linked borate system which minimises fluid loss and carries the sand. Treated water was used. Over 136,000 lbs (61,600kg) of proppant were pumped into the Maules Creek formation at this well in two separate frack stages. The surface impacts of drilling and fracking are visible today but the underground impacts are hard to gauge. Currently, in 2018 we still don’t have a water monitoring bore in this area that is not administered by Santos (who took over from Eastern Star Gas in 2006) despite a groundwater monitoring bore being drilled by NSW DPI between Bohena 4 & 5 (both fracked wells) at the end of 2016. It’s now midday in the Pilliga, it’s baking hot, the emus are curious, they come in closer to see what you are looking at, why you are there seeking answers and documenting damage that should never have happened. The many varieties of orchid are hidden from casual observers, look closely though and you will see the beauty of the Australian bush, delicate, not over stated, it’s everywhere. Fast forward a few years. Fracking is still happening. Did fracking improve gas flows or did it just destroy the fragile formations? Did Eastern Star Gas over-frack? Bohena South 1 Production Well was fracked by Halliburton who conducted two separate hydraulic fracture stimulations over each perforation zone in 2004. This was a big production well that began with an 18” hole. Halliburton fracked it twice, 255,300lbs of quartz sand proppant was pumped into the Bohena seam and 137,900lbs into the Upper Maules Creek zone and the well was brought into production on the 28th October, 2004. The table below is a document that is available on DIGS – the NSW Government online database of mining titles and exploration. 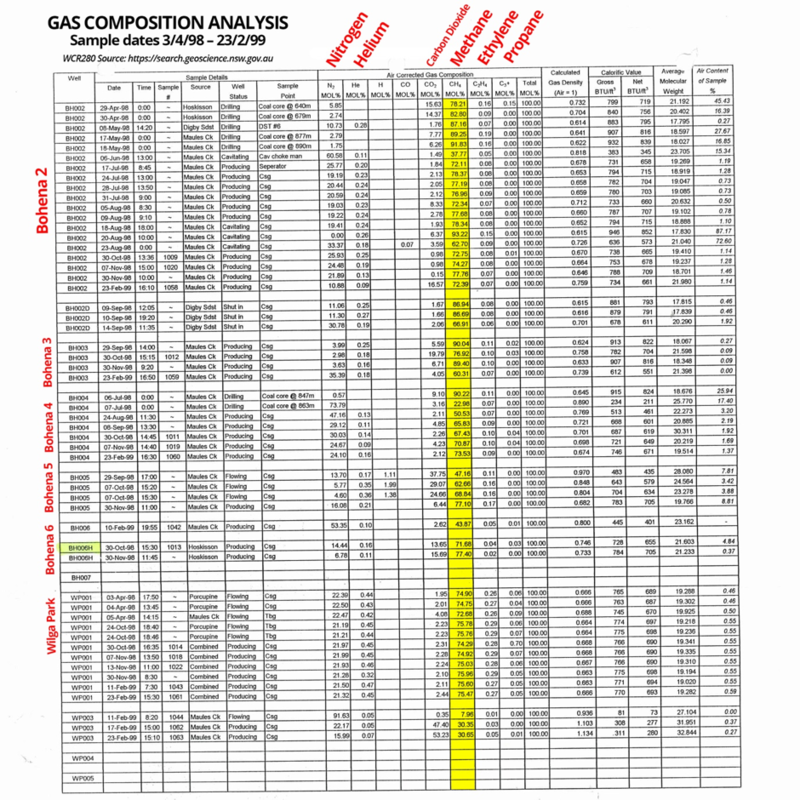 It contains details of the gas composition for various early wells. 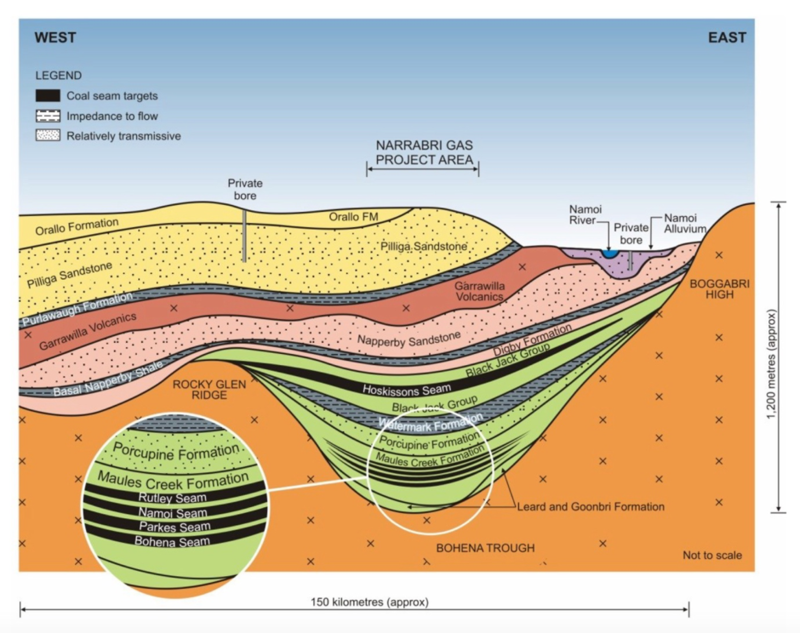 It is very much at odds with Santos’ claim that coal seam gas/natural gas is 97% methane. The yellow column shows the percentage of methane concentrations, these range from the low 30’s to the mid 90’s. The C02 content ranges from 0 to 47%. Other sources vary in their compositional analysis – see below. 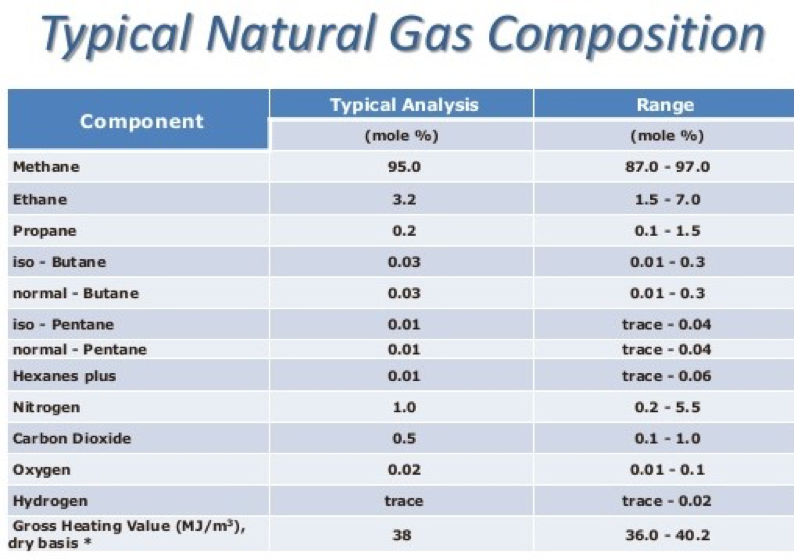 This analysis here says “Other customary “natural gas” components such as propane and heavier hydrocarbons, condensate liquids and hydrogen sulphide, are entirely absent. The relative proportions of methane and carbon dioxide can be quite variable from region to region, but commercially attractive CSG resources will generally have a methane content in excess of 90 mol%. 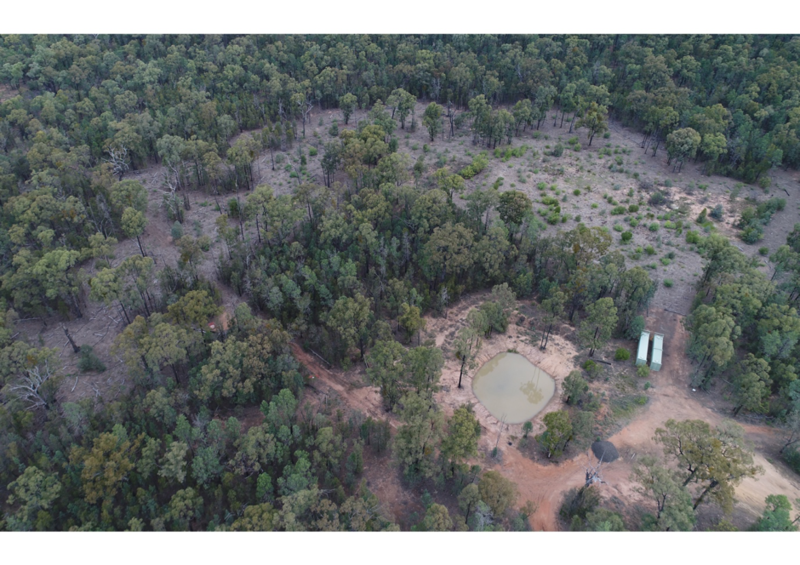 Gas composition in the Pilliga differs from this and the question on everyone’s lips “Is the resource commercially viable?” is pertinent in that why should we risk our underground water resources on a gamble? By 2004, 34 exploration wells had been drilled in PEL 238, 15 conventional and 19 coal seam gas. It is unclear how many of these 19 were fracked. Cavitation (as described earlier) was deemed a failure “It is interpreted that the inertinite-rich dull Bohena coal seam does not have enough cleat development for cavity completion to successfully exploit the natural fracture system in the coal and enhance its permeability.” The nitrogen fracks at Bohena 5 & 6 were also deemed unsuccessful. Bibblewindi 1 was drilled in year 2000 “Coal cores from the Black Jack Formation and Maules Creek Formation were gas desorption tested and found to contain relatively high percentages of carbon dioxide in the upper coal measures and high percentages of methane in the lower coal measures. This well was then fracked in 2004. More C02 was found at Jacks Creek North-1 drilled in 2000. With all this C02 being found you would be forgiven for thinking that Santos may have a problem in PEL 238 linked to the quality of the extracted gas. The man in charge was Dale O’Driscoll, an American cowboy whom, according to LinkedIn didn’t have any prior experience as a drilling consultant. He now works for Noble Energy in the US, just recently, famous for this diesel line fire at a frack site in Weld County, Colorado. Image taken from Common Ground. Publicly available operational information on this frack program is limited. 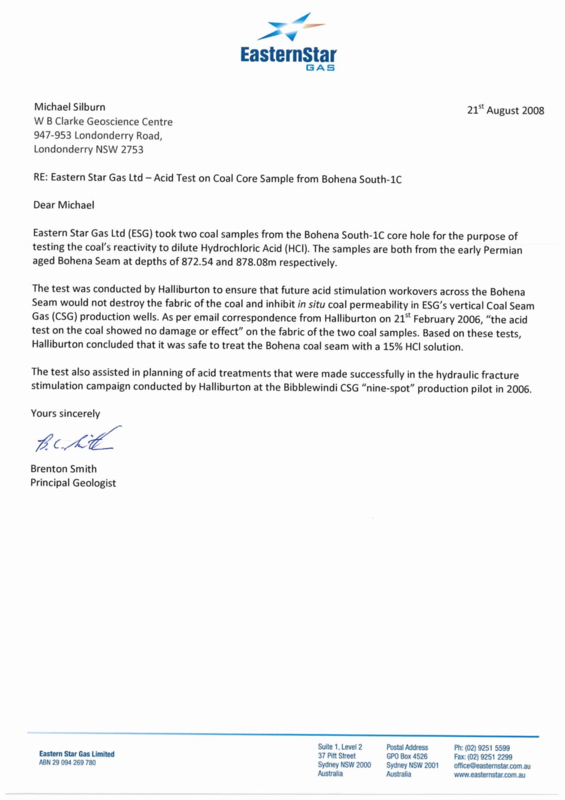 The letter below confirms that Eastern Star Gas were worried that past fracking activities may have destroyed the fabric of the coal and inhibited in situ coal permeability. So that’s 9 more wells – all fracked. Sunset in the spectacular Pilliga forest, the red dirt glows above the precious resource that it holds in place, the waters of the Great Artesian Basin, the forest guards the recharge zone, the cypress standing over it like grandmothers, watching the mining vehicles enter and exit. They don’t frack with this much vigour in Queensland. In fact only a small percentage of wells are fracked, albeit this may rise in the future as production from the seams declines. One must seriously question that in the race to get as much gas as possible out of the Pilliga seams, did ESG & Santos diminish the very resource they sought to exploit? 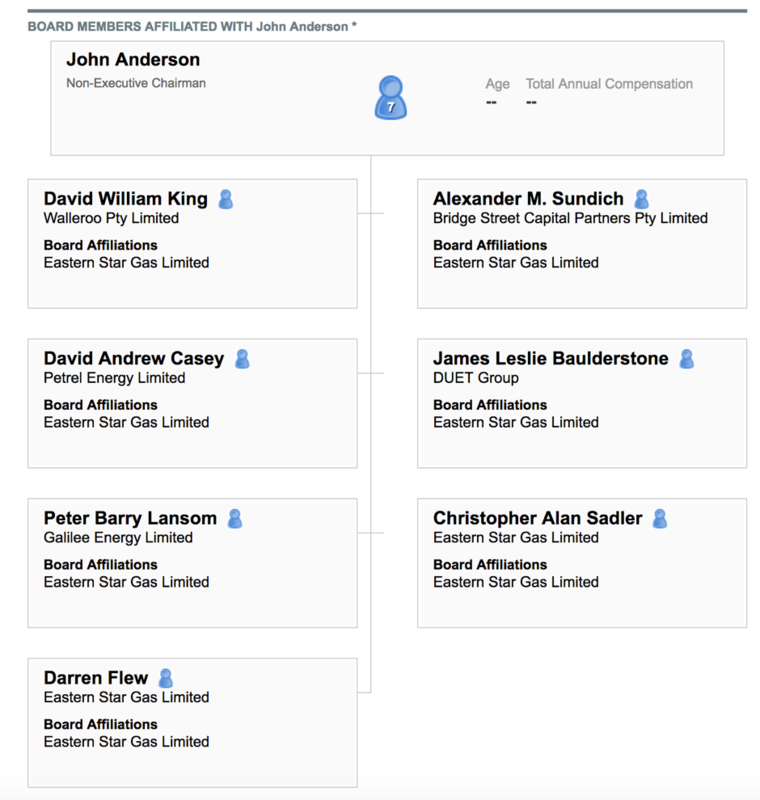 In 2011 Santos acquired 100% of the John Anderson chaired Eastern Star Gas. 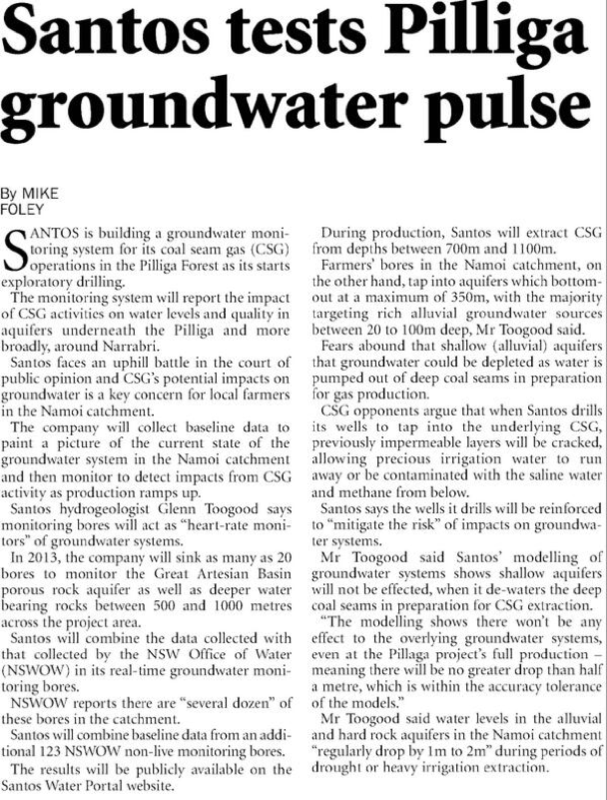 The Santos Water Monitoring Portal was introduced by Mr Mark Macfarlane in 2011 “From today, all members of the community will be able to access the results of all our water quality and bore level testing throughout our CSG operations in the Surat and Bowen Basins,” Mr Macfarlane said. “We have done this because we want to be completely open and accountable with the community in relation to the impact of CSG activities on water quality and groundwater levels. The Narrabri section of the portal was added in 2013. It’s now years out of date, some data has not been updated since 2014. It was a short-lived endeavor; no wonder the community has trust issues with Santos. If it was meant to “act as a heart-rate monitor” then it has failed miserably. The portal flatlined shortly after it was launched. The drilling continued until 2014. Santos seemed keen to distance themselves from the practices of Eastern Star Gas. 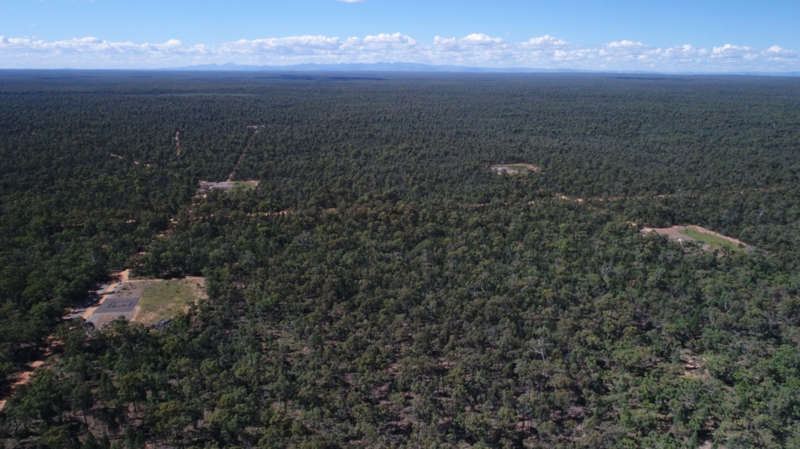 The 850 well Narrabri Gas Project is currently under assessment by the NSW Government. 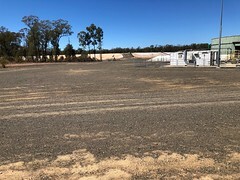 The assessors are aware that the project lacks social licence and there is outrage Australia-wide directed at the fracking industry. Santos have taken the easy way out and said they are not fracking. They don’t have to because they’ve already fracked. Large fracks. The term adaptive management springs to mind. It’s the process whereby procedures that would have initially been unacceptable are introduced once projects are given approval under modifications. 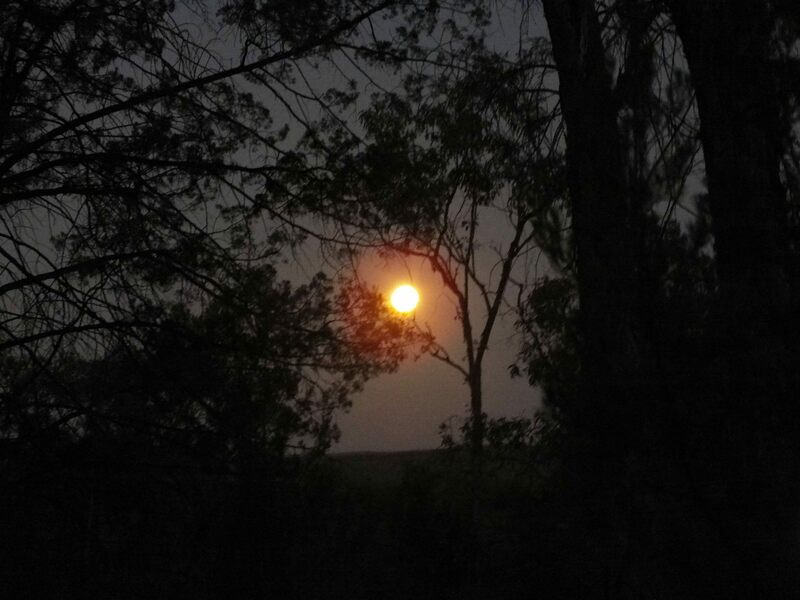 It’s close to midnight in the Pilliga. The micro bats swoop on moths and the Barking Owl scans for small marsupials. 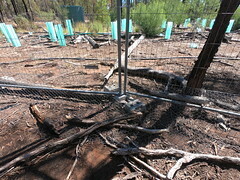 The Pilliga Mouse shyly considers crossing a track that was not there before the gas miners came. The endless stars mark time. Santos will always be an unwelcome presence in our forest but even when they are gone their toxic legacy will remain. All information contained in this history is in the public domain.